Do you want to unleash your creativity to make gorgeously unique friendship bracelets? 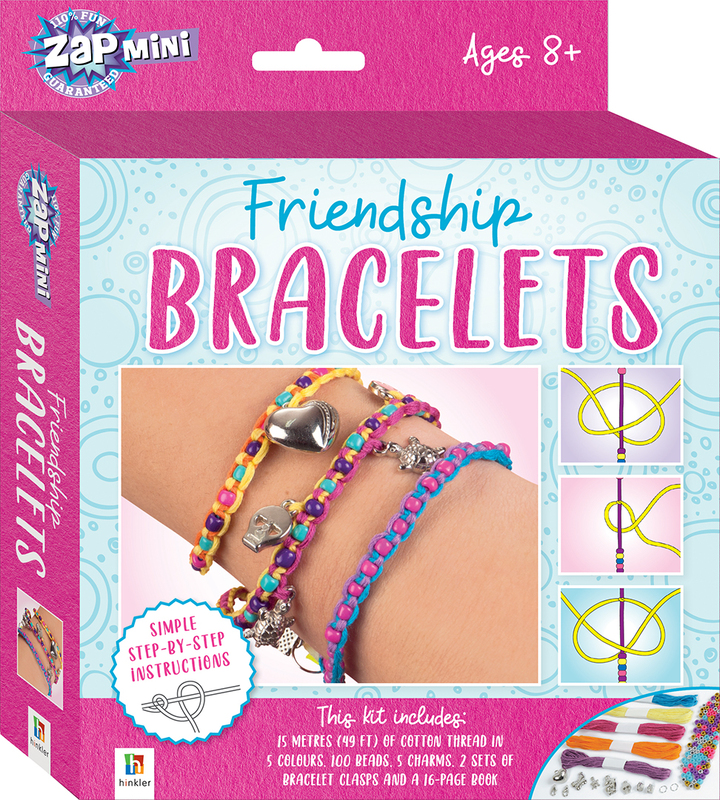 Take your bracelet-making skills to the next level with Zap Mini: Friendship Bracelets. Follow the simple instructions and illustrative guides and you’ll be making bracelets for your besties in no time. This Zap Mini starter kit includes a 16-page book that is filled with step-by-step instructions as well as tips, tricks and handy hints to start you on your jewellery-making journey! Including everything you need to make three stunning bracelets, this marvellous kit will teach you how to create bold and beautiful gifts that will really put a smile on your friends’ faces!